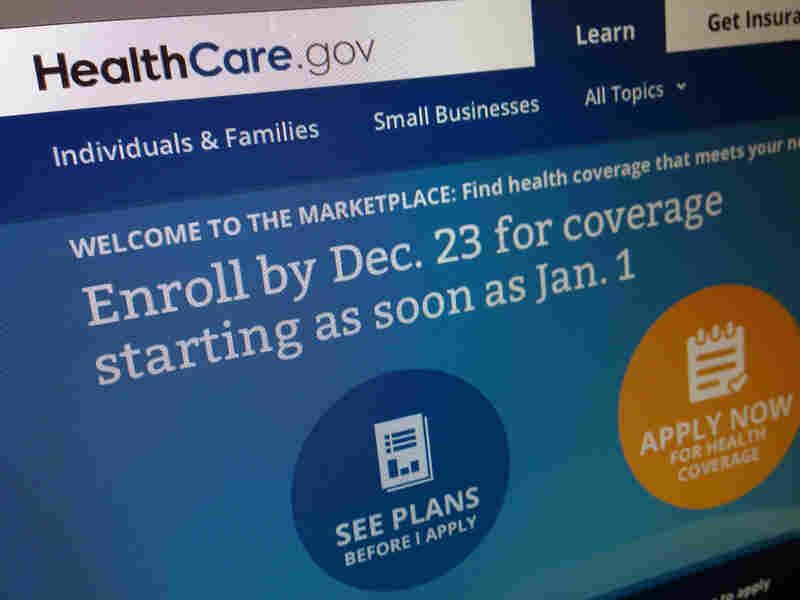 Obamacare Enrollment Surges Past 5 Million : The Two-Way The deadline to sign up for health care through the federal exchanges is March 31. The Congressional Budget Office had projected 6 million would sign up by that date. The HealthCare.gov website has been a source of delays and confusion for those trying to sign up for health insurance under the ACA. The Obama administration said 5 million Americans have now signed up for health insurance through the exchanges set up by the Affordable Care Act, the president signature legislation. "If the pace continues, the Obama administration may come close to registering 6 million sign-ups in the first year that Americans are able to get guaranteed health coverage under the Affordable Care Act. "That would still fall short of the goal of 7 million that administration officials had hoped to reach before the botched rollout of the new law last fall. "How many people have actually paid for the health insurance plans they have selected remains uncertain. "Administration officials have not released data on payments. Unofficial estimates from insurance companies and some state-run marketplaces suggest that as many as 20% of consumers in some markets have yet to pay their premiums, although some of those may not yet have been billed." CNBC reports the Affordable Care Act requires Americans to have some kind of health insurance by March 31 or face a fine of as much as 1 percent of total taxable income. In a blog post, Marilyn Tavenner, administrator for the Centers for Medicare and Medicaid Services, said the last several days have been some of the busiest for HealthCare.gov. They fielded more than 130,000 calls over the weekend and the site saw more than 4 million visits last week. "With only two weeks to go, we're continuing to work hard to ensure that every American who wants to enroll in affordable coverage by the deadline of March 31st is able to do so," Tavenner wrote.